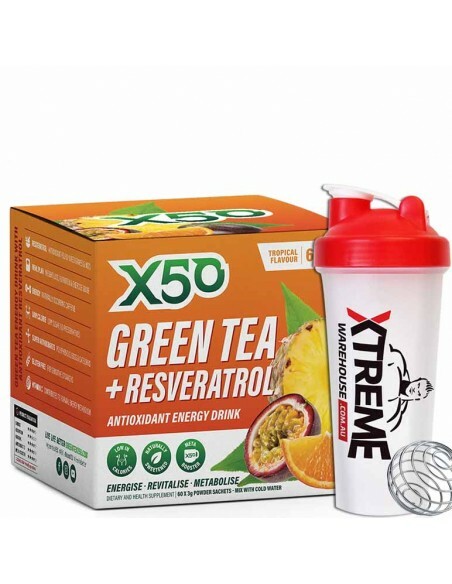 GreenTeaX50 is a great tasting instant green tea energy drink full of powerful antioxidants which may help stimulate metabolism, assist fat oxidation, and help burn calories by increasing energy expenditure and burning body fat thermogenically. 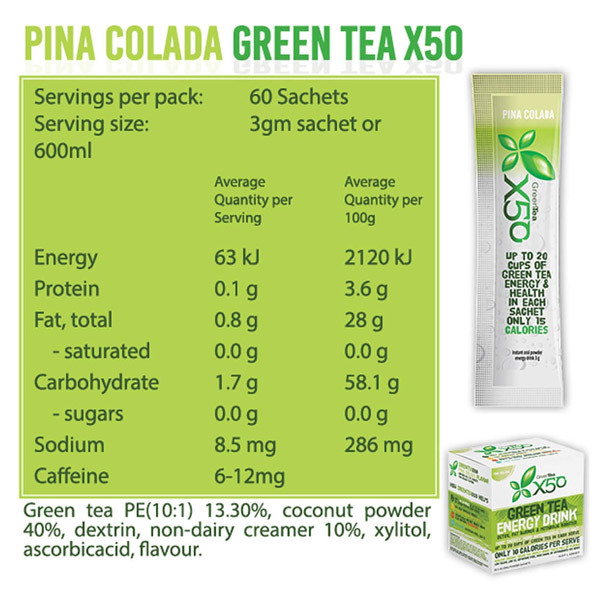 GreenTeaX50 gives you more energy than energy drinks without the sugar, caffeine or gaurana. 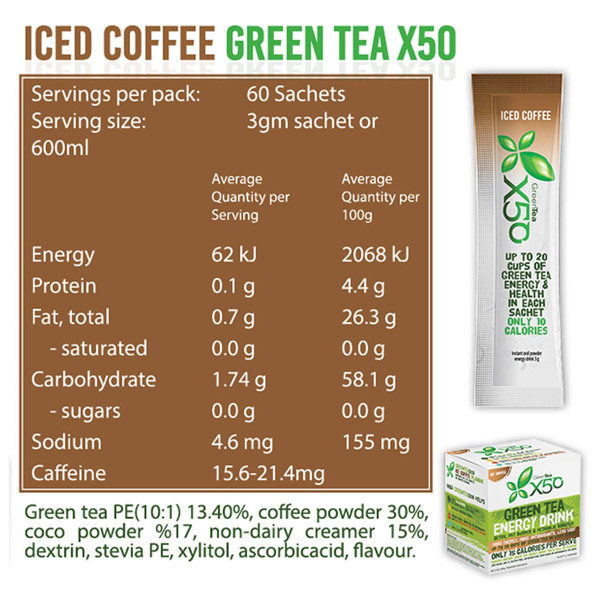 GreenTeaX50 has been designed to optimise the health benefits of green tea polyphenols and catechins, particularly EGCG, Resveratrol and other antioxidants for maximum health benefits. A super antioxidant found in the skin of berries, nuts and red wine that fights the damaging effects of harmful free radical and helps to prevent insulin resistance. Each sachet also contains resveratrol. 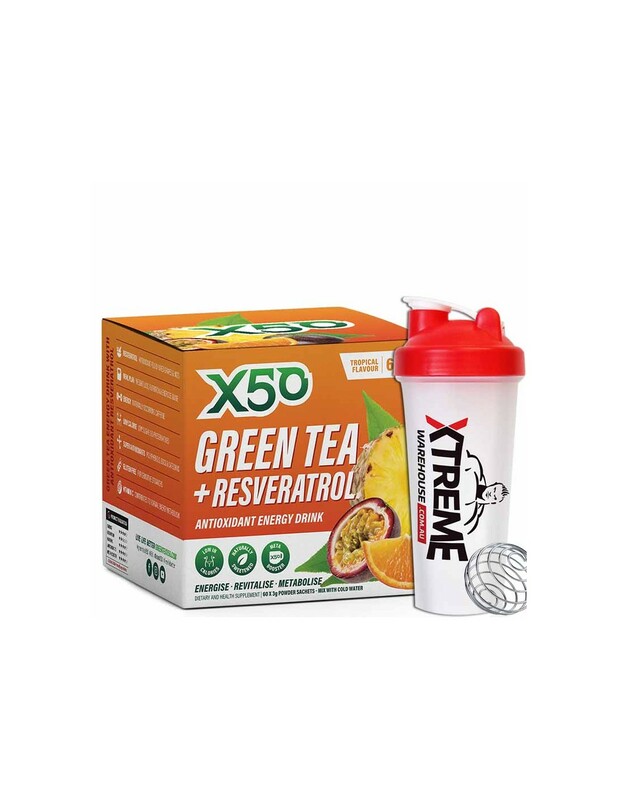 The most powerful antioxidant that is exclusive to green tea which is clinically proven to improve overall health and wellbeing, increase energy as well as promote weight loss by increasing energy expenditure. 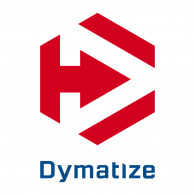 Derived from sea water Trace Minerals and are essential for maintaining good balance of health. 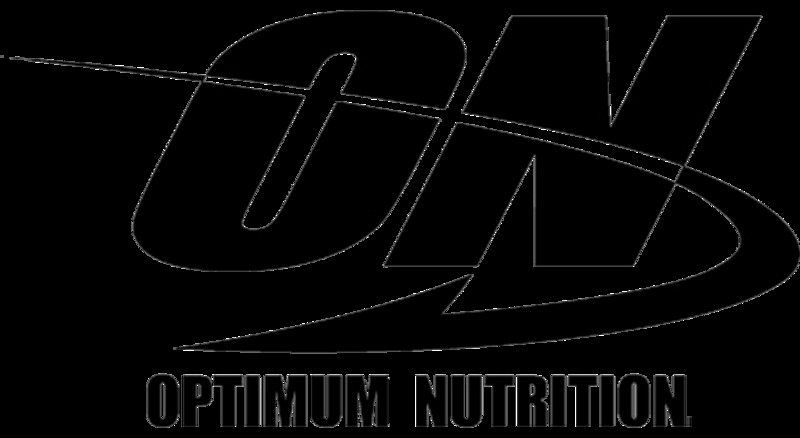 Trace minerals have a positive effect on immune system function, energy, metabolism and antioxidant protection. GreenTeaX50 is also made up of ingredients that contain naturally occurring amino acids & electrolytes to help rehydrate and replenish. 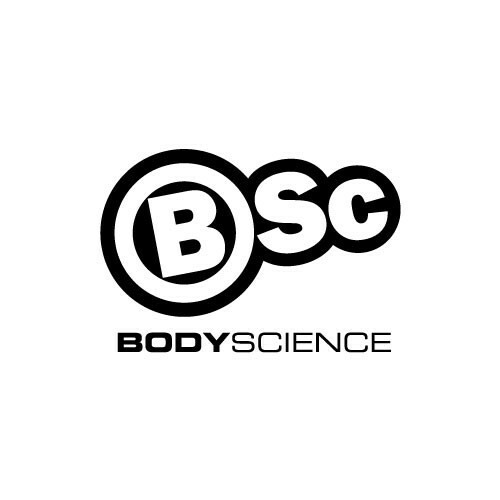 Other Ingredients: Green Tea Extract (Camellia Sinensis), Resveratrol (Fallopia Japonica), L-Theanine, Raspberry Fruit Powder, Tropical Fruit Powder, Citric Acid, Pepper, Alf-alfa, Xylitol, Ascorbic Acid, sucralose & Maltodextrine.